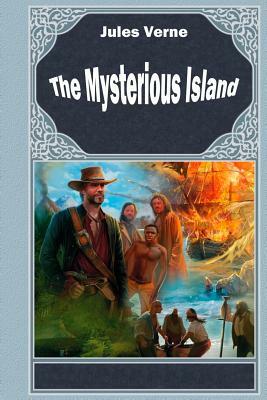 The Mysterious Island follows the adventures of a group of castaways who use their survivalist savvy to build a functional community on an uncharted island. A hot-air balloon carrying five passengers and a dog escapes from Richmond, Va., during the American Civil War. It is blown off course and deposited near an obscure island. One of the castaways nearly dies after a skirmish with pirates; he is saved by the unexplained appearance of medicine after the pirates are unexpectedly routed. The group later discovers that their secret helper is the reclusive Captain Nemo (first introduced in Verne's Twenty Thousand Leagues Under the Sea), who dies and is buried at sea in his submarine. The castaways are eventually saved by a passing ship.